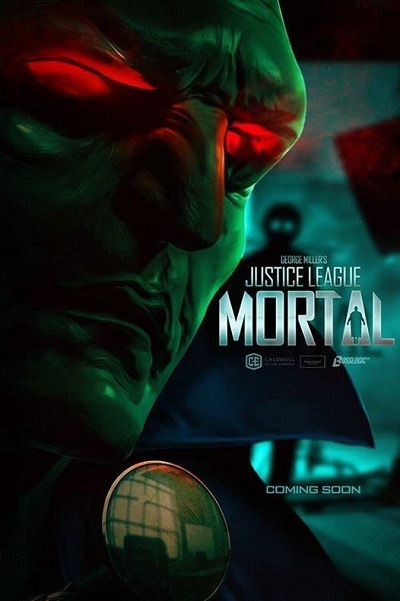 Half a decade ago, I pulled together a Martian Manhunter-specific look at what would have been the first JLA movie, featuring 6'2", sixty year old Australian Hugh Keays-Byrne as J'Onn J'Onzz. A couple of years later, when a picture of a latex mask produced for the film was finally released, I did an awkward, halting podcast adaptation of my earlier piece. That photo was part of a wealth of new information offered about the film in anticipation of the production of a documentary on it, George Miller’s Justice League: Mortal. They were even canny enough to create character posters for the doc, including the one seen in the header image above. Unfortunately, it appears that Warner Brothers did not sign off on allowing any of this material to be used ahead of their actually completing a Justice League flick that wasn't as bad as you heard, but still landed with a thud on screens last year. I haven't heard of any movement on the project for a couple of years now and its official Twitter account went cold in September of 2016. For my own taste, with the exceptions of Wonder Woman and Superman, I definitely prefer the looks and character selection of Mortal over the Snyder/Whedon jam. 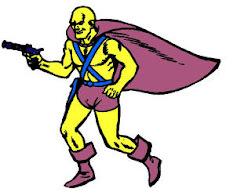 The Alien Atlas is clearly based on his short-lived Brightest Day costume, and is obviously made of rubber muscles in the old school 1990s Teenage Mutant Ninja Turtles/Corman Fantastic Four Thing mold that I'm iffy on. 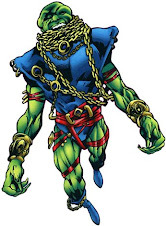 It's a very classic look for J'Onn that I'm not confident would have been well received by general audiences, who may have dubbed him a cheapjack Hulk. 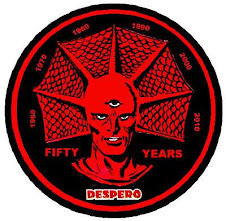 I'm a defender of the New 52 redesign, which I think would look fantastic and distinctive on the silver screen, and we now have a proof of concept via the television show Supergirl's excellent but too little seen One Year Later rendition. I've never been wild about the comics used as source material for the screenplay (save "Tower of Babel," which is a sequel story, not a launching pad) or the word that it would have played like an excessively violent Injustice: Gods Among Us grimdark interpretation of children's heroes. All that having been said though, I still kinda wish Mortal had come out. I feel it would have been lambasted and underperformed in a manner not dissimilar from the 2017 attempt, but could have taught Warner Brothers lessons that may have provided positive guidance on Man of Steel and averted Dawn of Justice entirely. 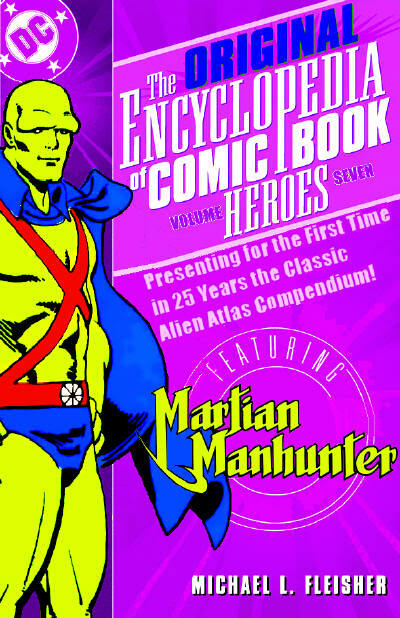 All in all, J'Onn J'Onzz making his "cinematic debut" eleven years after the fact in a sketchy behind the scenes photo from an aborted film featuring the entire "true" Justice League of America in an untold proto-formation story is just about the most Martian Manhunter way this could have played out. Mortal is like a real life "The Origin of the Justice League-- Minus One!" It's been nearly half a year since my last post, due to both general burnout and my reading very little mainstream DC/Marvel output in recent years. 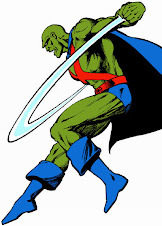 Truth to tell, there were many years there where I kept buying Martian Manhunter and Wonder Woman product out of devotion to the characters and blogs without ever bothering to read them. They're still sitting in boxes. 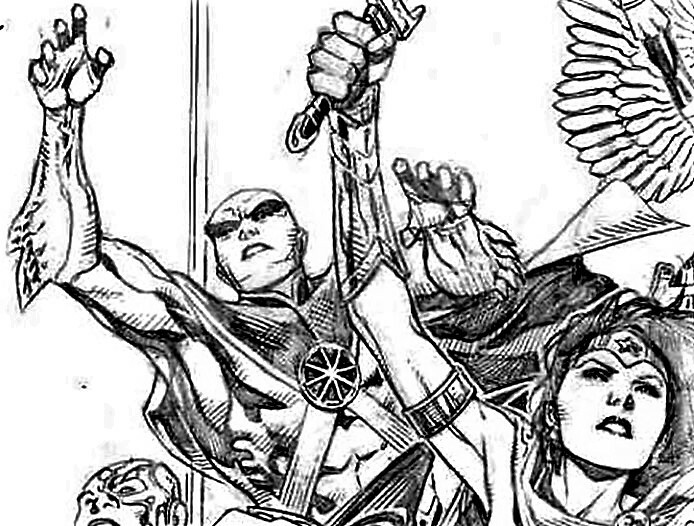 For this reason, I can't tell you a) a first person perspective on how the New 52 Martian Manhunter series ended; b) where he's turned up in the year or two since, or c) what he's been up to since his return in the most recent issue of Dark Nights: Metal. Well, okay, he rescued Green Lantern Hal Jordan and Mr. Terrific from imprisonment, they all fought Starro off-panel, and then they got ambushed by those parallel universe lowercase "b" bizarro Batman/Justice Leaguer mash-ups. That story is about to spin-off into an event mini-series called Justice League: No Justice where everybody including J'Onn J'Onzz gets a sucky group-themed new costume and a bunch of relaunches get set up. Speaking of which, here's the sorta-not-really "leaked" solicitation for a collection of the 2018 relaunch of Justice League. 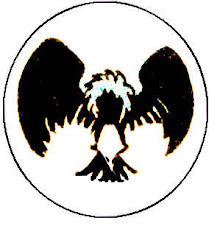 They're folding all the current JLA series back into one, putting on notable talent, and giving us virtually all of the actual League founders on the same team again. Only Hal Jordan is excluded, but the Green Lantern Corps is still represented by John Stewart, who is the superior character anyway. Even the Black Canary of the '10s, Cyborg, is sticking around. But most importantly, the Manhunter from Mars is finally on the core team again for the first time since Infinite Crisis twelve years ago. Again, this blog is now a decade old, and that has never been the case across its entire existence. And they're keeping the New 52 redesign I really like, even if you guys all seem to have more mixed feelings about it. Is this enough to get me to buy monthly floppies again? I've been doing that for a while, but they're of the more economical Alterna Comics variety, not this $4 nonsense. Christopher Priest taking over was a much greater temptation, if only for the new adventures of Glenn Gammeron, but we all knew the minute they put a black man in charge of the book that the countdown clock was ticking on that run. Barring some sort of J'Onnaissance, I won't even be picking up the trades. I'm just happy to see the Alien Atlas afforded some respect and acknowledgement again, plus I didn't want to have a reason to hold resentment towards Victor Stone.